If you enable session recording, you do not need to install the Desktop Experience feature. 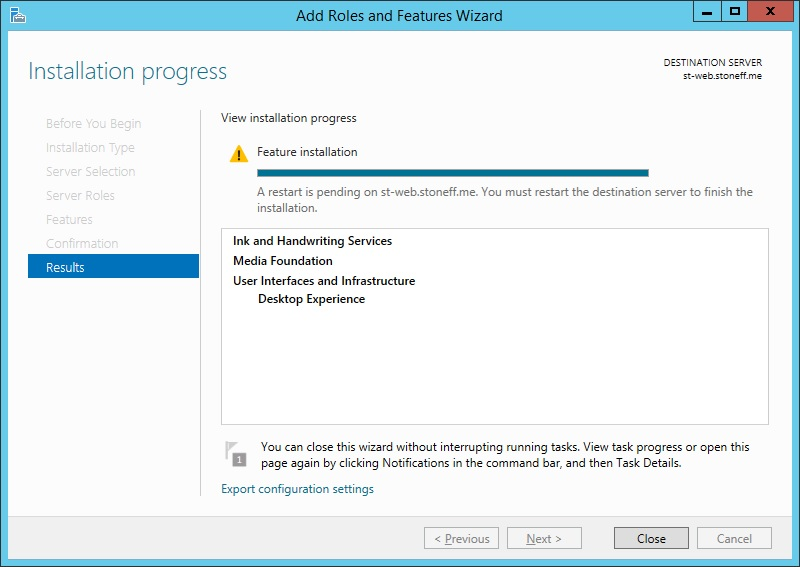 Microsoft Desktop Experience is included with Windows Server 2012 R2. If you install the video transcoding service, Application Launcher, and session recording components on separate systems, install Desktop Experience on the jump server and the system running the video transcoder. You do not need to install Desktop Experience on the streaming media server. 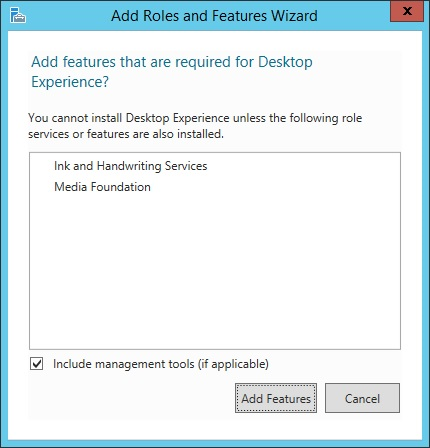 For more information about Microsoft Desktop Experience, please see at https://docs.microsoft.com/en-us/previous-versions/windows/it-pro/windows-server-2012-R2-and-2012/dn609826(v=ws.11). 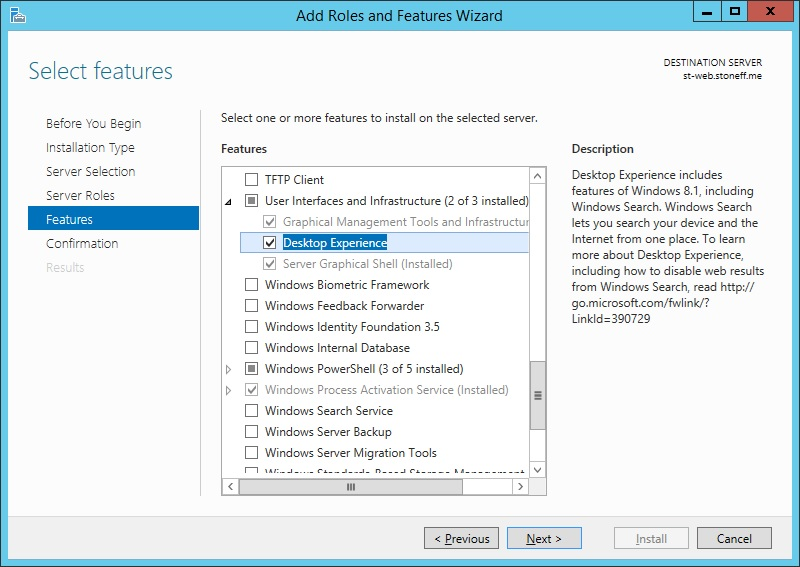 To add Desktop Experience, open Server Manager and select Add Features. 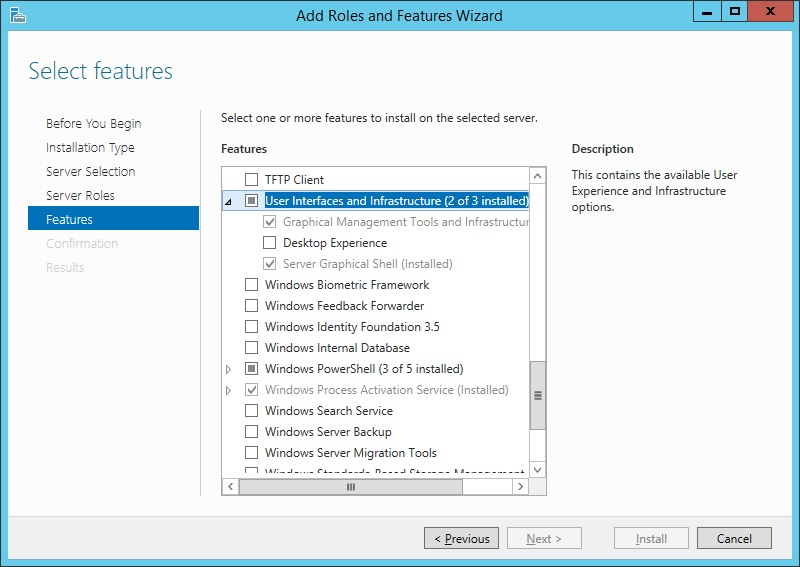 On the Features page, expand User Interfaces and Infrastructure. Select Desktop Experience. If prompted for additional components, click Add Features. Add any other requirements that other applications launched from this system may require, such as .NET Framework 4.x+ Click Next. Continue through to the end of the wizard. Click Close and restart the host.